Brody McConkey has put an end to Reece Hendl-Cox’s winning streak after taking victory in race 21 of the 2018/19 Hi-Q Components NZ Formula First Championship. Hendl-Cox wasn’t far behind, finishing second ahead of Liam Foster. In fourth place was Billy Frazer after a battle for the podium with Foster. Thomas Boniface was again the top of the rookies taking fifth with his nearest rookie rival, Ronan Murphy, just behind him in sixth. 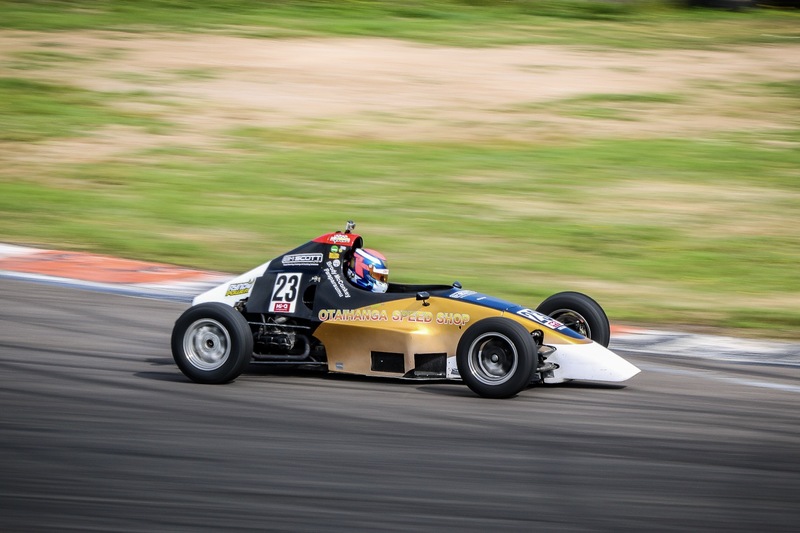 Nathan Sudiono took seventh in his Sabre Motorsport machine while Kyan Davie crossed the line eighth ahead of Amy Smith in ninth and Ron Carter in tenth. Bob Dillow took 12th place while Darren Henderson finished 13th, Craig Greenwood 14th and Shaun Logan 15th. Liam Nicholson, Flynn Mullany, Dave Scammell, Jarad Nicholson and Rob Baker rounded out the field while Andrew Tierney failed to finish with mechanical dramas.